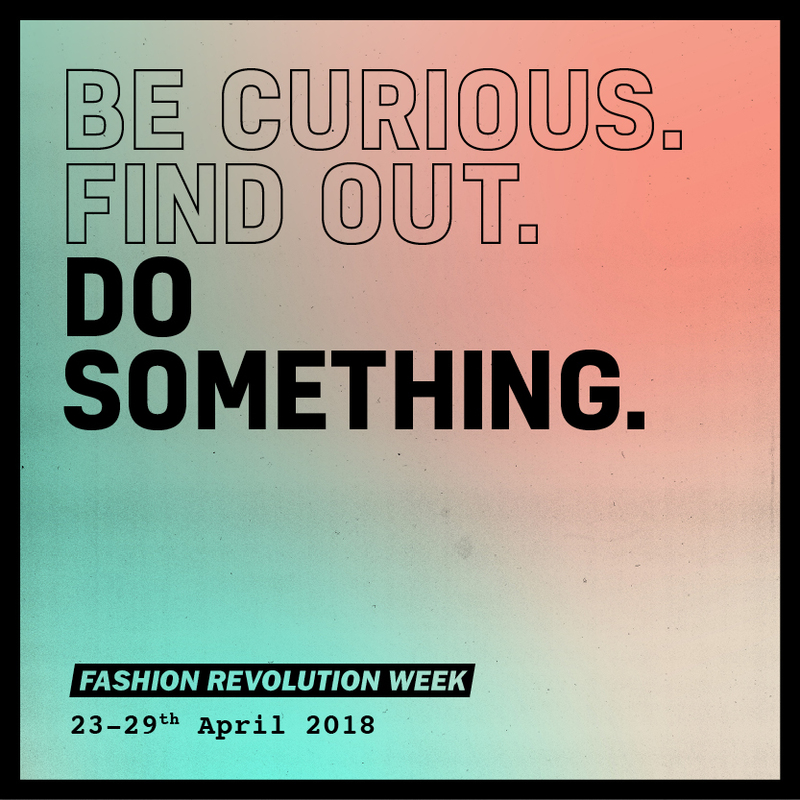 Since the Rana Plaza disaster (a textile factory collapsed in Bangladesh in April 2013 ; 1138 people lost their lives), the Fashion Revolution Weeks happens every year in April. The idea is to call out to fashion brands to ask for more transparency and to promote more fair practices in the fashion world. Everyone, from big companies to simple citizens, can question his relationship with fashion, and get himself heard to call for change. The FashionRevolution.org website (where you can also find pages about initiatives in various countries) offers a lot of resources and ideas to help each of us (brands, suppliers, manufacturers, bloggers, fashion enthousiasts…) finding a way to get involved. What can we do in concrete terms? We can contact our favourite clothing brand with the #whomademyclothes official hashtag, to indicate that we want to know more about the working conditions in which our garments are made. We can also enter the #haulternative challenge to show on a blog or social network that there are other ways than fast fashion to build and cherish a wardrobe… There are many ideas and tools for everyone. You can also sign a manifesto (we did!) to show how many citizens are feeling concerned and are waiting for a big change. Do all these tiny actions have a concrete impact? Well, considering that every step matters and that changing should also come from what we demand (and consume), yes! The more informed and committed we are, the more we say it and the more we change our consuming habits, sooner or later the fashion industry will have to find more satisfying answers to our concerns. 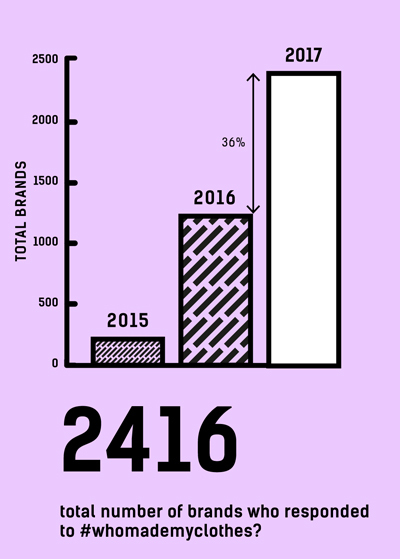 See opposite some encouraging figures to show how attention is growing since the last Fashion Revolution Week editions. We are looking forward to seeing 2018 figures! 1- K E E P O N S E W I N G ! 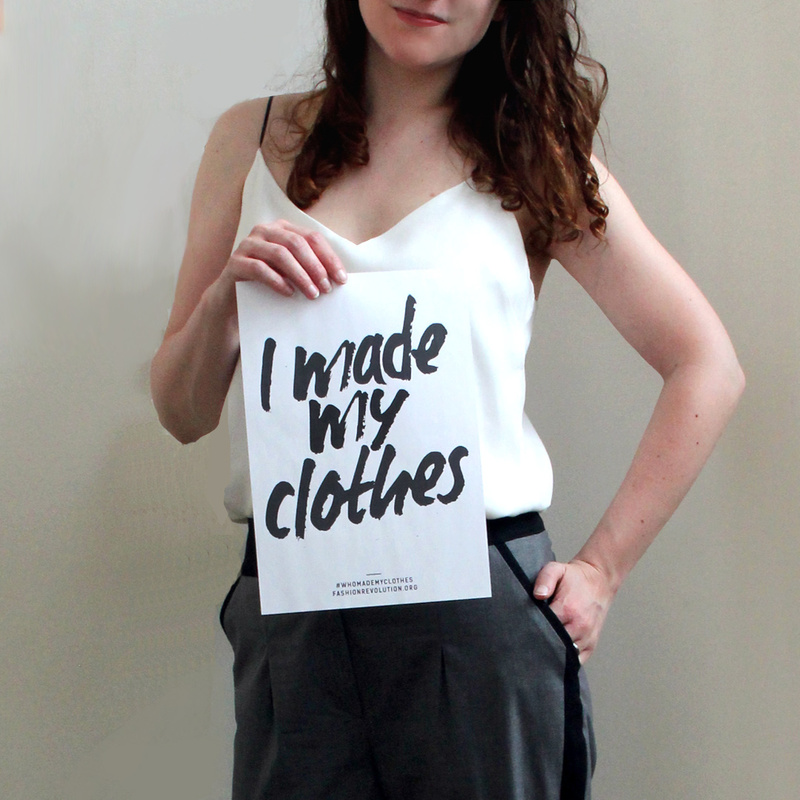 #whomademyclothes ? Me ! All the seamstresses should be proud of this super power ! Sewing your garments also means that you distance yourself (slowly but surely!) from the fast fashion industry and its bad practices toward its workers. That does not solve everything, there is still a lot to do, but this is a first step, to help you reconnect with the true value of things. When you have spent hours sewing a piece of clothing, you create a long-lasting relationship with it. And this garment you made with great care will repay you a hundredfold by showing yourself to advantage PLUS helping you believe in your talents and skills. 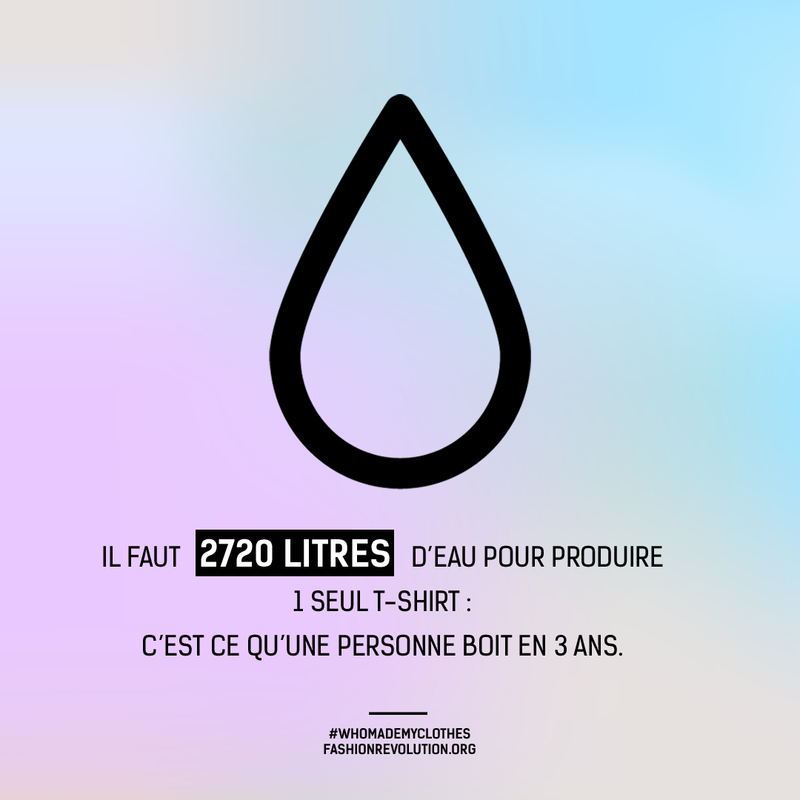 « It takes 2720 liters to produce only 1 tshirt. This quantity of water is what a human being drinks in 3 years. » So, do I really need a new tshirt ? What about taking a fresh look at what is already in your closet ? Turning all your clothes into a sustainable version cannot occur with a wave of a magic wand, and throwing it all away would be the worst thing to do. A sustainable decision would be to wear what you already have. But what if I don’t like the colour anymore ? What if the fit no longer suits me ? What if this one is stained ? 1- Natural dying, using common plants. You can achieve very vivid and diverse colours. 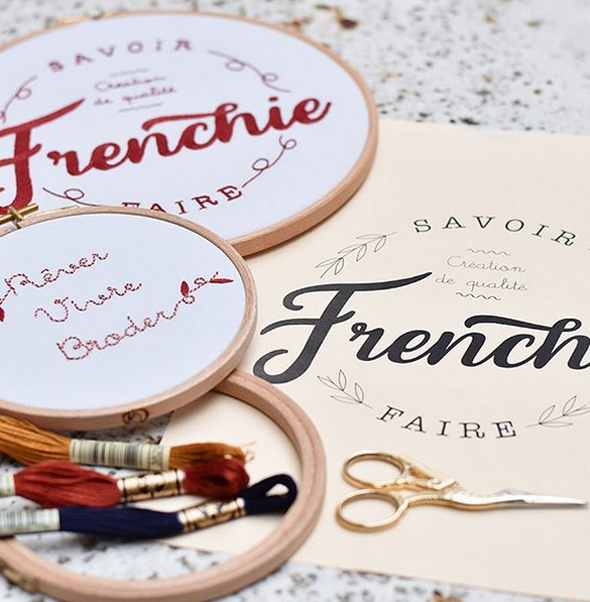 Here in France, we have cool designers that offers workshops to help you take it up, such as Sophie Morille in Nantes and Whole here in Paris. 2- Embroidery ! The basis are easy to understand, and you can draw or write whatever you want ! This picture is from Artesane’s video lesson about text embroidery. 3- Resize an old t-shirt. Take it to pieces and use your favourite tshirt pattern to give it a new birth ! We recommend Arsene, a tshirt pattern that you can download for free at our friends’ Chez Machine. 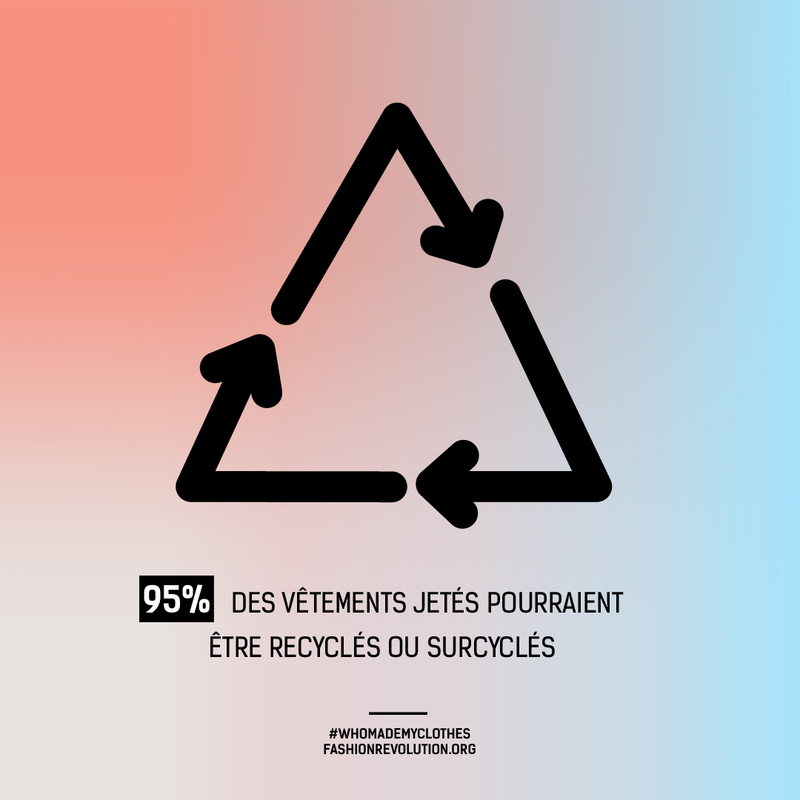 “95% of discarded clothing can be recycled or upcycled”. sew them into different items (accessories, clothes, use them to stuff a cushion, as a rag or as lining…). 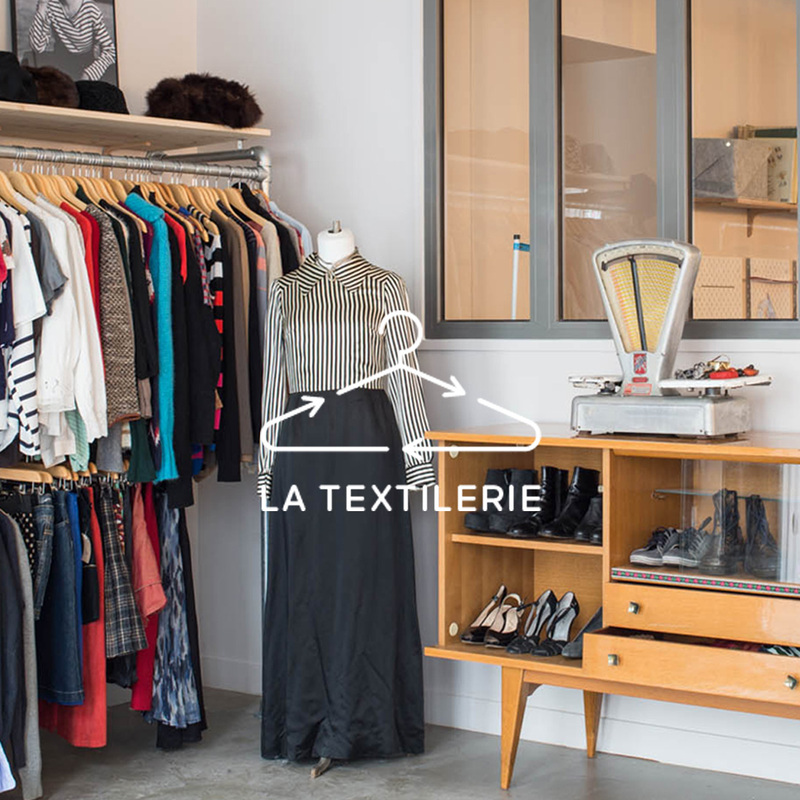 1- La Textilerie is a new place in Paris where you can give your old clothes and shoes. They will reuse some for sewing classes, sell the best items for very little money (like 3€ for a Tshirt or 8€ for a dress), and give the leftovers to trustworthy networks in order to reuse or recycle them. 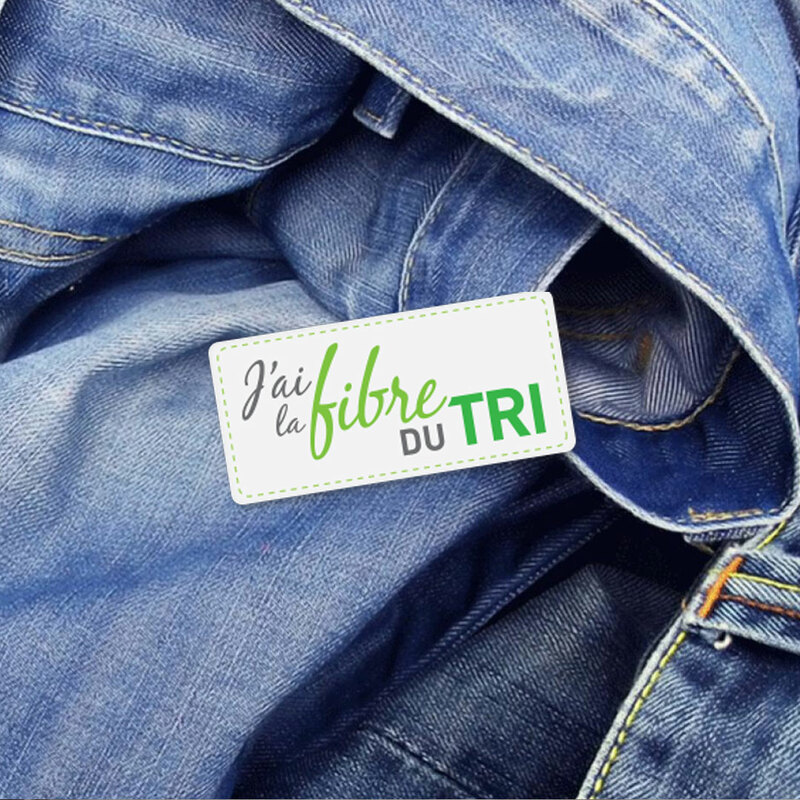 2- La Fibre du Tri has many places all around the country where old clothes, household linen and shoes are collected. They are turned into raw material for industries like textile (new fibers), construction (for insulation), automobile (stuffing for car seats)… The good condition items are given to associations that help persons in need and in reintegration programs. Fabrics – a crucial yet delicate subject for us dressmakers… We are often completely lost: are natural fibers a must ? Is it true that some fabrics include components that are dangerous for humans ? 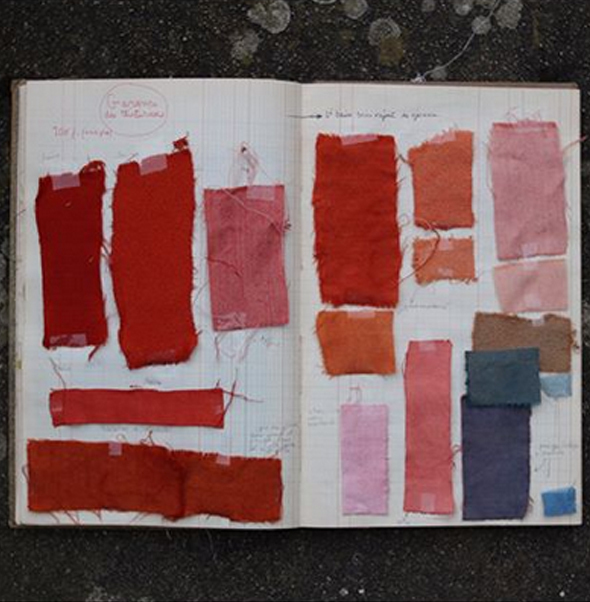 Are organic fabrics a real solution ? Where can I get a reliable information on all this ? 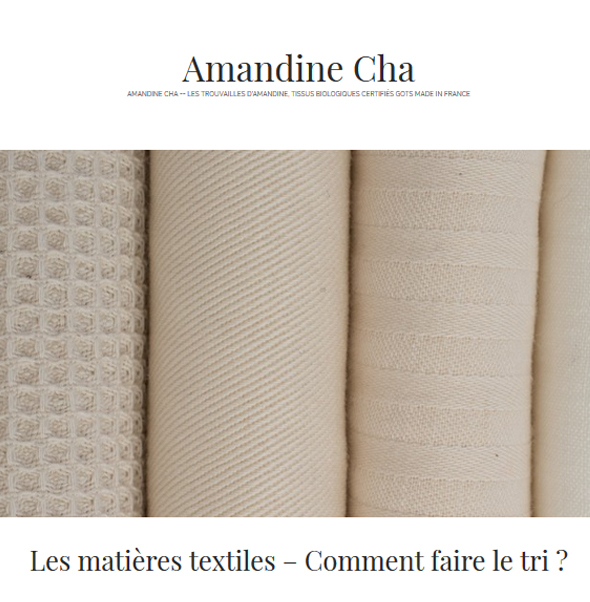 « Les Trouvailles d’Amandine » is a French fabric maker committed in sustainable developement. On their blog, they have written a series of very educative posts on fabrics. In the first one, they have made a diagram that gives ranks to fabrics (from A to E) according to their impact on Earth and on people. They also wrote about several fibers and fabric types such as viscose, linnen, polyester… we have learnt a lot ! 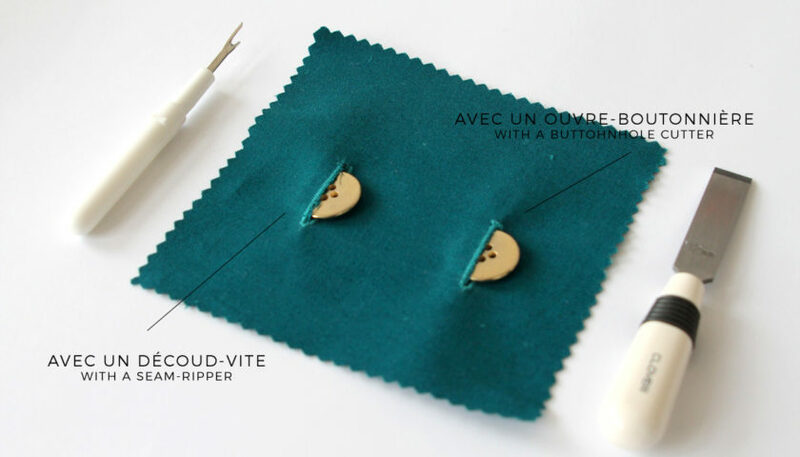 Unfortunately, it is all in French, but the « A to E » diagram speaks for itself : http://www.amandinecha.com/blog/les-matieres-textiles-comment-faire-le-tri/. If you know any good source of similar information in English, please feel free to comment, we would be glad to share ! Knowing the fabrics better is essential, but getting information on the working condition in which the fabrics are made matters too. 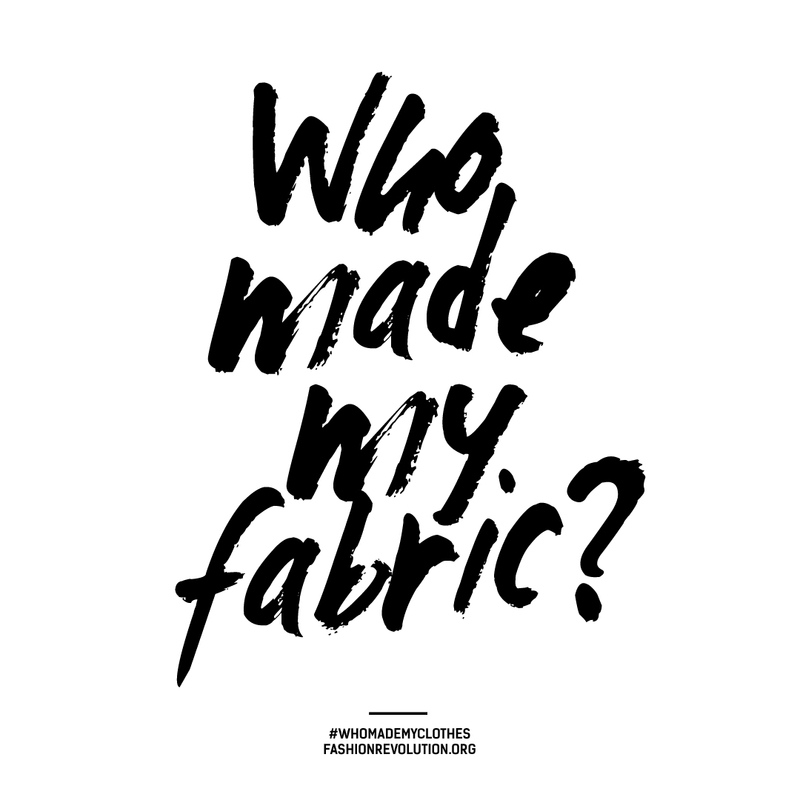 The Fashion Revolution Week is the perfect occasion to contact your favourite fabric brands and shops with the #whomademyfabric hashtag, in order to ask for more information about where and how their fabrics are made. 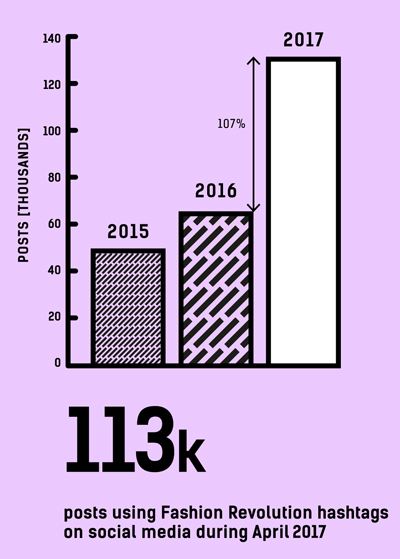 The sewing community is smaller and more open to dialog than the RTW industry in general: the idea would be to show our interest, to tell them that we care for more transparency, not to be aggressive. 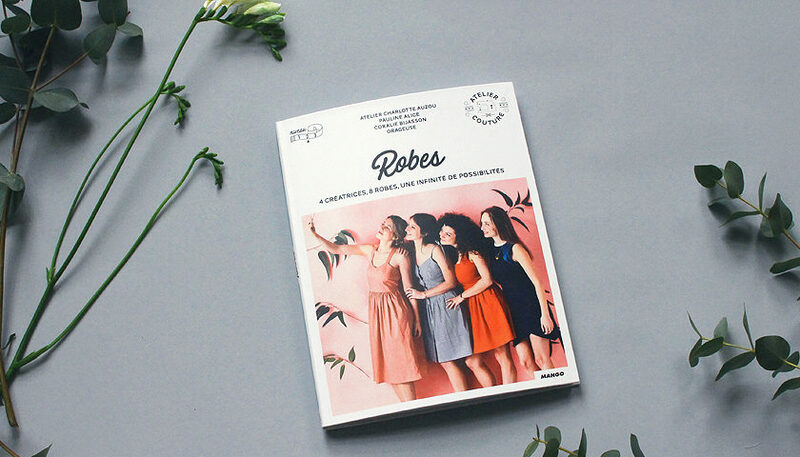 Some fabric shops are already trying to be more transparent about fabric sourcing: The Sweet Mercerie for example mostly chooses European fabrics (made in Portugal most of the time) and indicates on its product pages where the fabrics are from. That should be the minimum requirement in every store, don’t you think ? Gathering information about fabrics made us aware of that there is a great lack of transparency in this industry too. In France, we can say that a fabric is “made in France” provided at least 50% of its manufacturing costs have been spent in France. Considering the huge difference between salaries in France and in other parts of the world where most fabrics are made (in Asia for instance), that means that if you perform only one of the many steps required to produce a fabric in France, you can claim that it is “made in France”, even though most of the work has been done in other countries. That can be quite demoralizing: how can I make the right choices when everything is so opaque? We are frustrated too… But we should all keep moving on! Buying a “local” fabric, even if it is not perfect, is always a better move than buying one that has travelled the whole world and about which you know nothing. We should also keep asking questions to our suppliers and, even if it is not the easiest part, buy less if we do not already have a sewing project in mind. 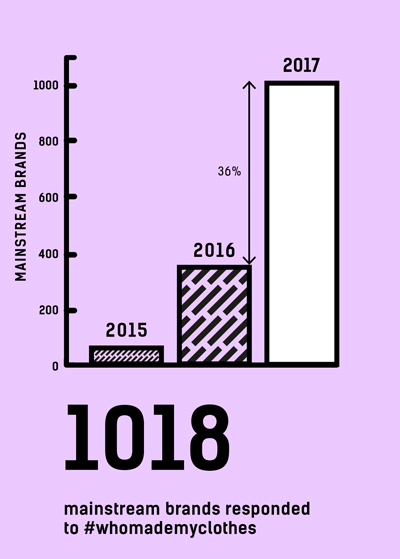 There has been quite a few talks and comments during this Fashion Revolution Week, and we are very happy about that! Thank you to all of you who took some time to interact and share their thoughts! 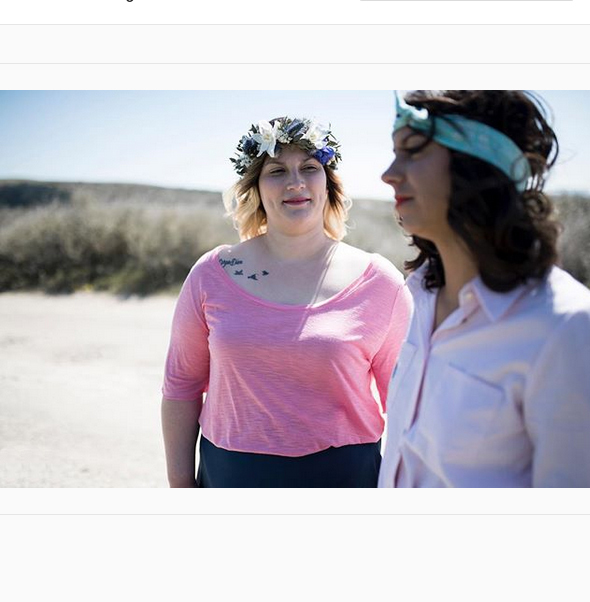 One of our Instagram follower (@milichab) recommended a very interesting podcast (in French) made by La Poudre. 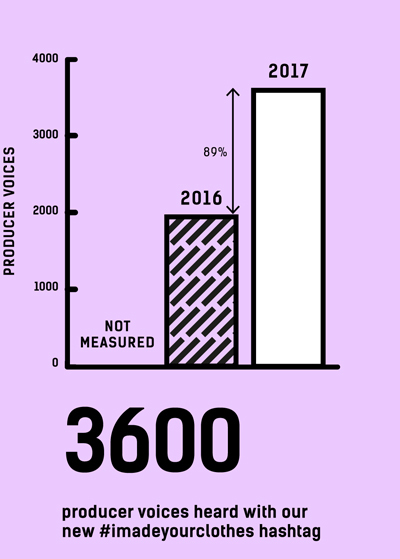 It has been recorded for 2017 Fashion Revolution Week, but is still very topical and relevant. A few key players in sustainable fashion share their thoughts about the impact of the Rana Plaza disaster, about fast fashion behind the scenes, and about great initatives that are making things changes. If you understand French, it is worth listenning! If you want to know more, to make your own opinion about the situation, here are two documentaries. The first link below is a trailer (in English!) for the famous documentary “The True Cost” (you can watch it on Netflix or buy it in VOD). The second one is the full version of a 2012 French investigation named “Toxic fringues” (meaning something like “Toxic threads”, in English). There are many other subjects that we would have wanted to talk about here (starting with how to mend your clothes to make them last longer, for instance!) – there is still so much to say! This issue really matters to us, and we will for sure come back with more thoughts and ideas to share with our readers. See you next year for a new Fashion Revolution week! Meanwhile, remember that WE all make a revolution everyday by sewing our own clothes and making informed choices in our everyday life! That’s a start!